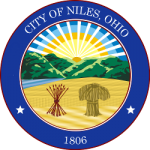 The City of Niles is dedicated to the needs of our residents and businesses; providing transparent municipal and community services, fostering prosperity while embracing our unique history and qualities. A safe, friendly, vibrant, attractive and diverse community, where people and families live, learn, work and play, and where a small-town feel and high quality of life is valued. For City officials and personnel, these values are the principals that constitute the foundation of our future forward path.